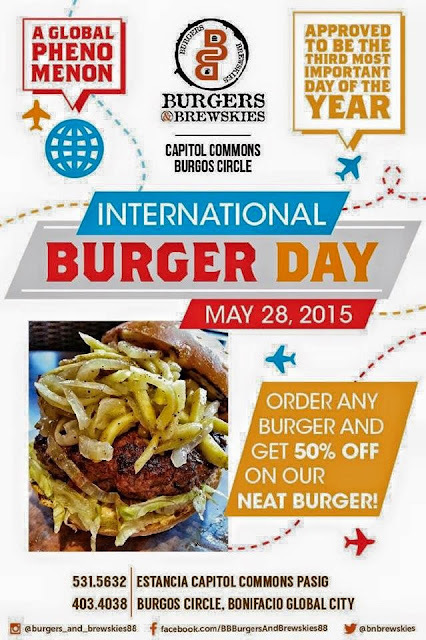 Happening only on International Burger Day, May 28th 2015! Call the Nurse, Call the ER here I come! Be ready to order your own, cause I'm not sharing. Haha See you there!